Whether you choose Botswana, Kenya or South Africa to go on safari, you will have the experience of a lifetime. One of the most popular all-inclusive safaris to choose is the elephant tour at Botswana’s amazing Chobe National Park. It takes just over two hours to fly from Johannesburg or Cape Town in South Africa to neighbouring Botswana. Chobe National Park is located at the edge of the Okavango Delta, near the famous Moremi Wildlife Reserve and close to the roaring Victoria Falls. The park features four distinct eco systems, ranging from swampland to dense forest areas. It is a great place to see a wide range of wildlife, as it is home to all major African mammal species, including ca. 60,000-strong herds of Kalahari elephants that migrate from the Chobe riverbanks to the lush Makgadikgadi Pans in the southeast during the rainy season. The dry season occurs between May and November and is the best time to spot all manner of wildlife, as the savannah grass is low and animals go in search of water. Elephants and buffalo herds start to form between September and October, which is the hottest time of the year. Watching elephants and their young enjoying the cool waters of the river delta is an unforgettable experience. 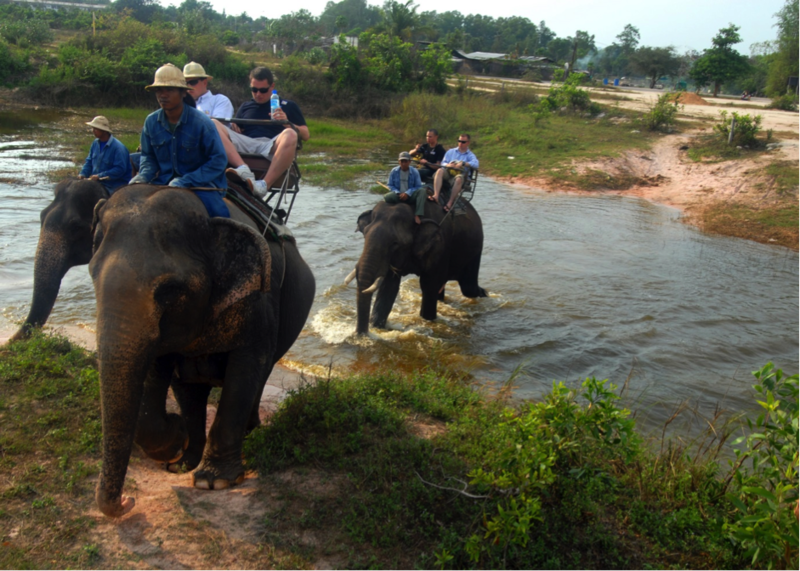 Depending on the type of holiday insurance one chooses, there are a variety of elephant tours on offer, from sleeping in tents in bush camps, going on walking and canoe tours to staying in eco-friendly huts in specially designed camps and luxurious holiday resorts. All of these will enable visitors to see the gentle grey giants as they trot through the savannah in search of juicy trees and water holes, but the choice of tour and accommodation obviously involves risk to varying degrees. Camping trips are naturally more thrilling, albeit more dangerous, but well-trained guides and security personnel are part of the safari package. The Okavango Delta is one of the most beautiful areas in the world. Why not join a Mokor canoe tour or a walking safari? If you don’t venture out too far from your bush camp, you can sit and sketch or take photographs of your surroundings. 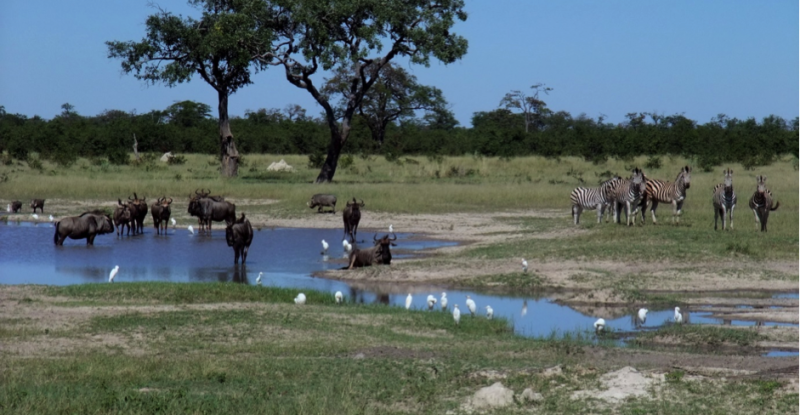 Many Chobe safaris include Caprivi-strip and Tsodilo Hills as well as Victoria Falls, Moremi and Livingstone. Prices are inclusive, although a few excursions must be paid extra and you will be expected to bring your own sleeping bag. Advice on the best techniques for wildlife photography comes free – your trained guides will be delighted to help! Be sure to include a trip to Tsodilo Hills in your safari, Botswana’s only UNESCO World Heritage site and one of the most important cultural sites in Southern Africa, if not the world. This is the cradle of humanity, containing an astonishing number of caves with exquisite rock art paintings. It’s a safe area to explore on foot, so you can go and chat to friendly locals, buy souvenirs, sample local food and enjoy the wide open spaces and unique landscape of beautiful Botswana at your leisure.